China’s higher education system has expanded rapidly since 1999. 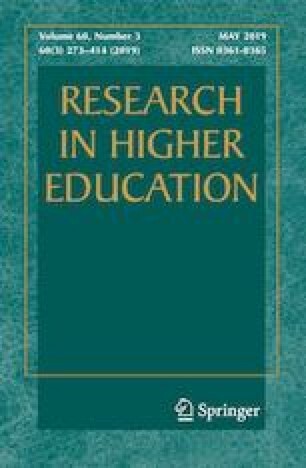 Exploiting variation in the density of university expansion across provinces and high school cohorts and applying a difference-in-differences model, we estimate the impact of higher education expansion on educational access and attainment with a particular focus on students’ family and demographic backgrounds. Results indicate that the expansion of university spots increased both access and graduation rates at 4-year universities, but this improvement was driven by those of higher social status, including males, those with highly educated fathers, han-ethnic and urban students. Females, rural students and those with low-educated fathers also benefited once they were able to graduate from high school. Also, the policy had only a limited effect on the likelihood of graduating from high school. As in other countries, education expansion in China has not led to equal distribution of educational opportunities, and the least socioeconomically advantaged students are missing out. We are grateful to Massimiliano Bratti, Lingxin Hao, Prashant Loyalka, Sandra McNally and audience at the 2015 AERA conference for their helpful comments. We also thank all anonymous reviewers whose comments have greatly improved this paper. Ou acknowledges funding from the CUHK Direct Grant (#4058038). The opinions expressed here represent opinions of the authors only. Funding was provided by CUHK Direct Grant (Grant No. #4058038). See Fig. 3 and Tables 7, 8, 9 and 10. Carnoy, M., Loyalka, P., Androushchak, G. & Proudnikova, A. (2013). The economic returns to higher education in the BRIC countries and their implications for higher education expansion. REAP working paper No. 253., Stanford University. Retrieved from https://reap.fsi.stanford.edu/sites/default/files/Economic_returns_to_higher_education_in_the_BRIC_countries2.pdf. Gallagher, M., Hasan, A., Canning, M., Newby, H., Saner-Yiu, L., & Whitman, I. (2009). OECD reviews of tertiary education: China. Retrieved from OECD website: http://www.oecd.org/education/skills-beyond-school/42286617.pdf. Hoxby, C. & Avery, C. (2012). The missing “one-offs”: The hidden supply of high-achieving, low income students. Brookings papers on economic activity. Retrieved from http://www.brookings.edu/~/media/projects/bpea/spring%202013/2013a_hoxby.pdf. Hoxby,C. & Turner, S. (2013). Expanding college opportunities for high-achieving, low income students. SIEPR discussion paper No. 12-014. Retrieved from http://siepr.stanford.edu/?q=/system/files/shared/pubs/papers/12-014paper.pdf. Khor, N, Pang, L. Liu, C. Chang, F., Mo, D., Loyalka, P. & Rozelle, S. (2015). China’s looming human capital crisis: Upper secondary educational attainment rates and the middle income trap. Rural education action program working paper No. 280. Retrieved from https://reap.fsi.stanford.edu/sites/default/files/280_human_capital_paper.pdf. Ministry of Education of the People’s Republic of China. (1998). Mianxiang 21shiji jiaoyu zhenxing xingdong jihua (21st century education development action plan). Retrieved June 27, 2014, from http://www.moe.gov.cn/publicfiles/business/htmlfiles/moe/moe_177/200407/2487.html. Murnane, R.J. & Ganimian, A.J. (2014). Improving educational outcomes in developing countries: Lessons from rigorous evaluations. NBER working paper No. 20284. Retrieved from www.nber.org/papers/w20284. World Bank. (2006). Gender gaps in China: Facts and figures. Retrieved from World Bank website: http://siteresources.worldbank.org/INTEAPREGTOPGENDER/Resources/Gender-Gaps-Figures&Facts.pdf. Xie, Y. (2012). China family panel studies user’s manual for the 2010 baseline survey. Retrieved from Institute of Social Science Survey website: http://www.isss.edu.cn/cfps/EN/.